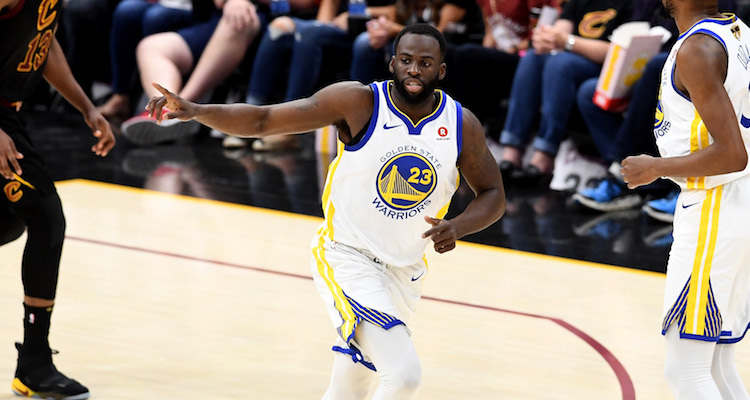 Kevin Durant and Steph Curry may get all the attention, but it turns out Draymond Green might be the real leader of the Golden State Warriors. Obviously Draymond Green isn’t exactly unheralded. He’s a three-time NBA All-Star, a three-time member of the NBA All-Defensive First Team, and the reigning Defensive Player of the Year. But casual fans generally don’t experience the full weight of his contributions to the Golden State Warriors dynasty. Fortunately for Draymond, some new video footage from the Warriors’ latest championship run might change all that. Green was apparently mic’d up a lot during the playoffs, and the new video footage shows that he is basically a defensive coach out there on the floor, providing not only emotional support but on-the-fly tactical breakdowns to help his team play better. Did you see how the other Warriors actually do everything Draymond tells them to do? Who knew the guy most famous for kicking people in the balls could command so much respect!